The US Justice Department (DOJ) announced on Wednesday it’s suing AT&T, alleging the company used DirecTV in an illegal campaign to block carriage of a television channel owned by the Los Angeles Dodgers. The lawsuit accuses DirecTV and its parent company AT&T of sharing private negotiating information with other TV providers including Cox Communications and Charter Communications to gain an illegal advantage over mutual adversary Time Warner Cable, which had been selling licenses to air the Dodgers Channel on other networks. When the three cable providers (AT&T, Cox, and Charter) collectively agreed not to carry the Dodgers channel being licensed by Time Warner Cable, the DOJ alleges, they illegally reduced the likelihood that a customers would jump to another provider in order to watch live Dodgers games. The DOJ outlines its allegations of collusion in tremendous detail. ...a significant number of Dodgers fans have had no opportunity in recent years to watch their team play on television because overlapping and competitive pay television providers did not telecast Dodgers games. Those consumers were deprived of a fair competitive process when DIRECTV unlawfully exchanged strategic information with three competitors during their parallel negotiations concerning carrying Dodgers games. To this day, Dodgers games are still not available on AT&T, DirecTV, or Cox Communications. The importance of this type of blockage has been amplified by the fact that the Dodgers have made it to the playoffs in both of the last two seasons. Unfortunately for TV subscribers, it’s actually been very difficult to watch the games. 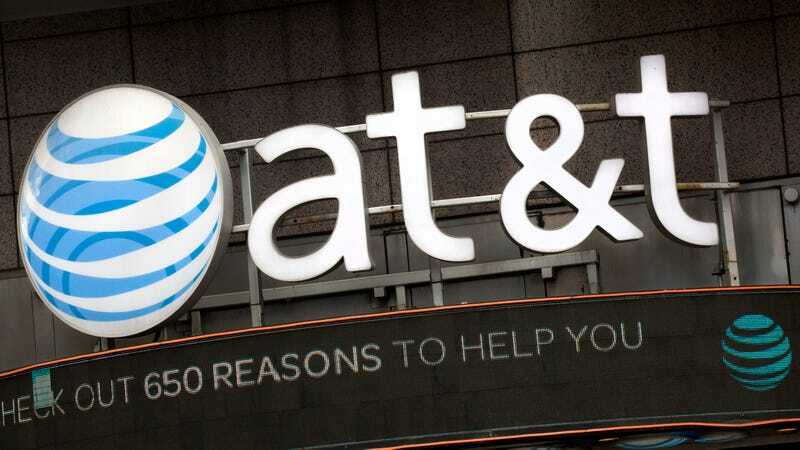 The lawsuit does not bode well for AT&T, which is currently in the process of trying to acquire Time Warner Cable (a separate company from Time Warner) for $85.4 billion. The deal will likely be reviewed by the Justice Department. The DOJ’s new lawsuit could raise questions about the company’s ability to hurt competition, something that could prevent the deal from going through. As for Dodgers fans, at least they have the whole offseason to find better TV providers.